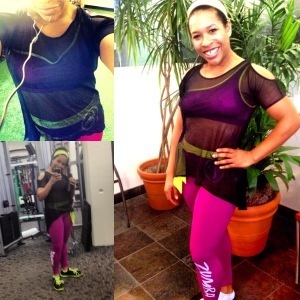 As you probably know I’m a Zumba® Fitness Instructor! Every week I teach my classes and give my students a safe and effective workout with this amazingly fun format! 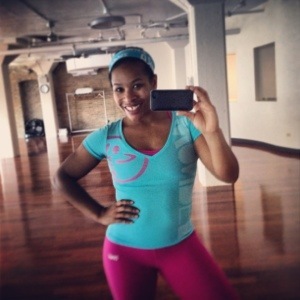 I LOVE to dance and inspire people to a healthier them..but secretly, or not so secretly,one of my favorite things about this format is the clothes…. Aaaaaahh! There…I said it. 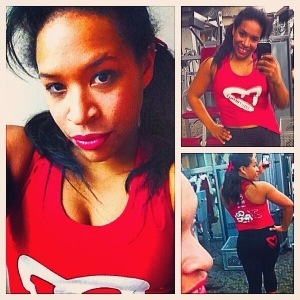 I am a Zumba shopaholic ! I love it .. The colors, the style, altering the clothes. It is just so fun and funky and can make the class that much more fun! Take a look at some of my in class fashions! 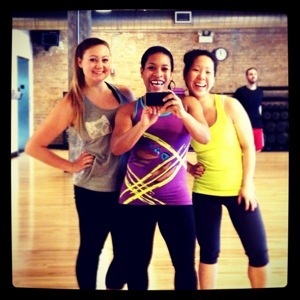 Because Zumba® Fitness is all about the party and the party starts here! While its not necessary to wear the clothes to have a great time; it enhances the party atmosphere with fun, colorful, and creative outfits for both the student and instructor! 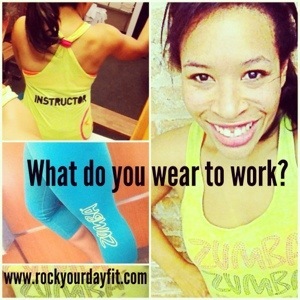 Want your OWN Zumbawear™? 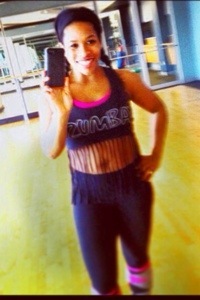 Go to http://www.zumba.com/shop and save 10% when you use my code SYMPHSAVES !! Ever tried it?! Or wanted to try it but didn’t know what to expect?! It’s an exhilarating, effective, easy-to-follow, Latin-inspired, calorie-burning dance fitness-party™ that’s moving millions of people toward joy and health. As a fitness instructor in his native Cali, Colombia, Beto’s life took an unexpected turn one fateful day in the mid-’90s when he darted off to teach an aerobics class and forgot his traditional aerobics music. He improvised using his own mix of music from tapes he had in his backpack (salsa and merengue music he grew up with). Spontaneously he created a new kind of dance-fitness, one that focused on letting the music move you (instead of counting reps over the music). Energy electrified the room; people couldn’t stop smiling. His class loved it! And on that day, a revolutionary new fitness concept was born – the Zumba ® Fitness-Party. I went to a fitness convention in 2007 and first experienced Zumba. I was smiling and laughing and sweating the whole time … Unfortunately it didn’t occur to me that i should get certified to teach it. I started teaching in 2010 and now it is one of my favorites because it’s fun and I love music and dancing!! Enjoy!